Street Fighter is a game for fast-paced twitch junkies. You've got to be quick to get your shots in. Word Fighter, on the other hand, is a little more pedestrian. Think of it as Jane Austen meets M. Bison. 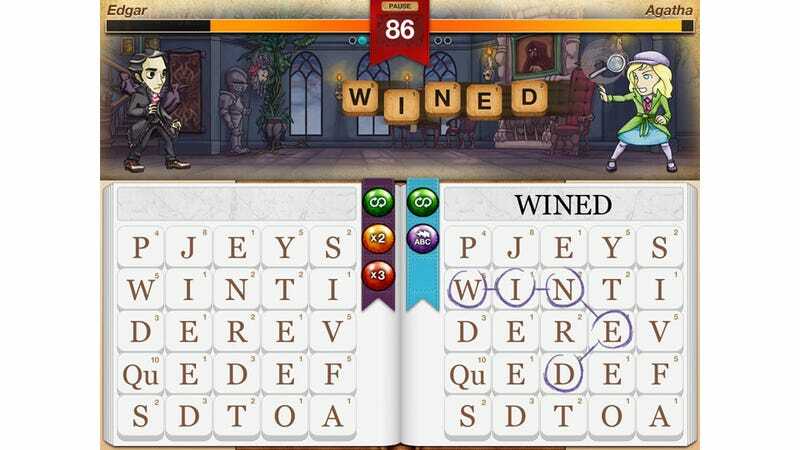 Word Fighter is an iOS and Android game by Feel Every Yummy, where you take control of literary legends and do battle not with punches to the face, but with words. To the face. While it's not as frantic as a proper fighter, speed is still important in Word Fighter, as you battle an opponent to spell words from a board of letters. The longer you build words (and the fancier the letters you use), the more damage you do. It'll be out "later this year".